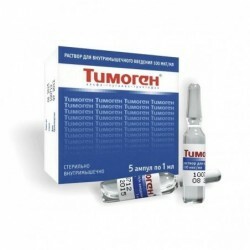 Immunomodulatory drug with anti-inflammatory action. The mechanism of action is associated with the ability to influence the functional-metabolic activity of macrophages. In inflammatory diseases, it reversibly (for 6–8 hours) inhibits the excessive synthesis of tumor necrosis factor, interleukin-1 and other pro-inflammatory cytokines, active oxygen species by hyperactive macrophages, which determine the degree of inflammatory reactions, their cyclicity, as well as the severity of intoxication. Normalization of the functional state of macrophages leads to the restoration of antigen-presenting and regulating functions of macrophages, reducing the level of auto-aggression. The drug stimulates the bactericidal activity of neutrophilic granulocytes, enhancing phagocytosis and increasing the nonspecific resistance of the organism to infectious diseases. The main pharmacological effects are observed within 72 hours. frequent recurrent diseases of the respiratory tract and ENT organs of bacterial and viral etiology (including frequent acute respiratory viral infections, bronchitis, pneumonia, chronic tonsillitis, chronic otitis, chronic adenoiditis) and their prevention. Excipients: sorbitol - 0.315 g, starch - 0.14 g, lactose - 0.1 g, calcium stearate - 0.005 g, talc - 0.015 g, racecentol (menthol) - 0.0001 g.
The dosage regimen and duration of therapy are set individually, depending on the nature, severity and duration of the disease. The drug is taken sublingually on 1 tab. up to 4 times / day or 2 tab. up to 2 times / day, depending on the diagnosis and severity of the disease. In acute intestinal infectious diseases, accompanied by diarrhea, the initial dose is 2 tab. once, then - 1 tab. 3-4 times / day before relief of symptoms of intoxication within 3-5 days. With gastric ulcer and duodenal ulcer in the acute period for the first time 2 days should be taken on 1 tab. 4 times / day, then every 3 days, 1 tab. 4 times / day, course of 2-3 weeks. In the chronic period, take within 5 days on 1 tab. 4 times / day, then every 3 days, 1 tab. 4 times / day course up to 3 weeks. In viral hepatitis of various etiologies in the acute period disease initial dose is 2 tab. 2 times / day to relieve symptoms of intoxication and inflammation. Perhaps the subsequent continuation of the course on 1 tab. 4 times / day every 3 days with a course of up to 2-3 weeks. With chronic recurrent diseasescaused by the herpes virus - 1 tab. 4 times / day for 10 days. Then - 1 tab. 4 times / day every other day for 10 days. For diseases caused by human papillomavirusshould be taken 5 days on 1 tab. 4 times / day, then - 1 tab. 4 times a day every other day with a course of up to 2-3 weeks. With urogenital diseases (urethritis of chlamydial and trichomonas etiology, chlamydial prostatitis) on the first day of 2 tab. 2 times / day, then - 1 tab. 4 times / day every other day with a course of up to 2 weeks (depending on the severity of the pathological process). With salpingoophoritis, endometritis in the acute period - 2 tab. 2 times / day for 2 days, then 1 tab. 4 times / day every 3 days for 3 weeks. In the chronic period - within 5 days on 1 tab. 4 times / day, then - 1 tab. 4 times / day every 3 days with a course of up to 2-3 weeks. In acute and chronic suppurative diseases of the pelvic organs in the acute period on the first day, 2 tab. 2 times / day, then - 3 days on 1 tab. 4 times / day, then - 1 tab. 4 times / day every other day for 10 days. In the chronic period - within 5 days on 1 tab. 4 times / day, then - 3-4 pills / day every 3 days with a course of up to 3 weeks. For postoperative rehabilitation of patients with uterine myoma and with complications of the postoperative period among women reproductive age, the drug should be taken within 5 days 1 tab. 4 times / day, then - 1 tab. 4 times a day every other day with a course of up to 2 weeks. 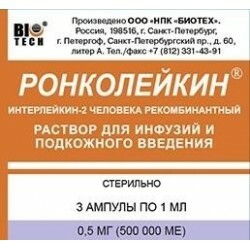 With purulent surgical diseases (burn lesions, chronic osteomyelitis, gangrenous appendicitis with omentitis, peritonitis, purulent pleurisy) apply 4 times / day for 1 tab. for 5 days, then - 1 tab. 4 times a day with a course of up to 15 days. For the prevention and treatment of surgical complications in the pre- and postoperative period (including in cancer patients) is prescribed for 1 tab. 4 times / day for 5 days before surgery, within 10 days after surgery, 1 tab. 4 times a day and for 3 weeks 1 tab. 4 times in 3 days. In severe cases of the disease - on the first day, 2 tab. 2 times / day. In chronic recurrent furunculosis, erysipelas take5 days on 1 tab. 4 times / day, then - 1 tab. 4 times a day with a course of up to 3 weeks. In asthenic conditions, neurotic and somatoform disorders, with mental, behavioral and post-abstinent disorders in patients with alcohol and drug addiction - 5 days, 1 tab. 4 times / day, then - 1 tab. 4 times every 3 days for 3 weeks. To increase physical performance - 1 tab. 4 times a day for 10 days, then 1 tab. 4 times / day in 3 days with a course of up to 3 weeks. 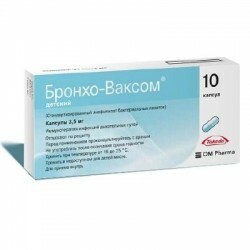 In inflammatory diseases of the mucous membrane of the mouth and throat, periodontal diseases, the initial dose of 1 tab. 4 times / day for 5 days, then - 1 tab. 4 times / day in 3 days with a course of up to 3 weeks. With frequent recurrent diseases of the respiratory tract and ENT organs Bacterial and viral etiology (frequent acute respiratory viral infections, bronchitis, pneumonia, chronic tonsillitis, chronic otitis, chronic adenoiditis) apply 4 times / day for 1 tab. for 5 days, then - 1 tab. 4 times a day with a course of up to 15 days. 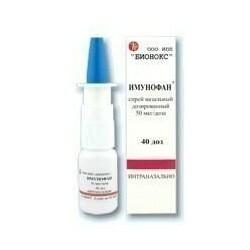 For the prevention of acute respiratory infections and flu- 1 tab. 2 times / day. The course is 5-10 days. Not established clinically significant drug interaction Galavit® with other drugs. Special instructions on the use of the drug are not available. To date, cases of overdose Galavit® not reported. Dosage form: Sublingual pillswhite color with a yellowish tint, biconvex, without risks, with the smell of menthol.